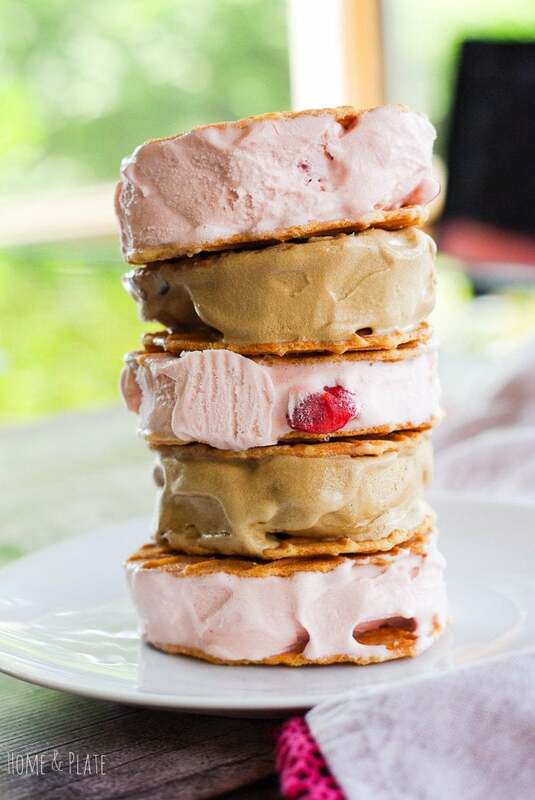 Gelato made with fresh strawberries, dark chocolate and espresso is paired with crisp pizzelle cookies in this Sicilian- inspired frozen dessert. Who can say no to an ice cream sandwich? Not me! Especially when it’s deliciously creamy and stacked between two pizzelle cookies. What’s a pizzelle cookie you ask? It’s a thin, sweet and crisp waffle-baked butter biscuit. 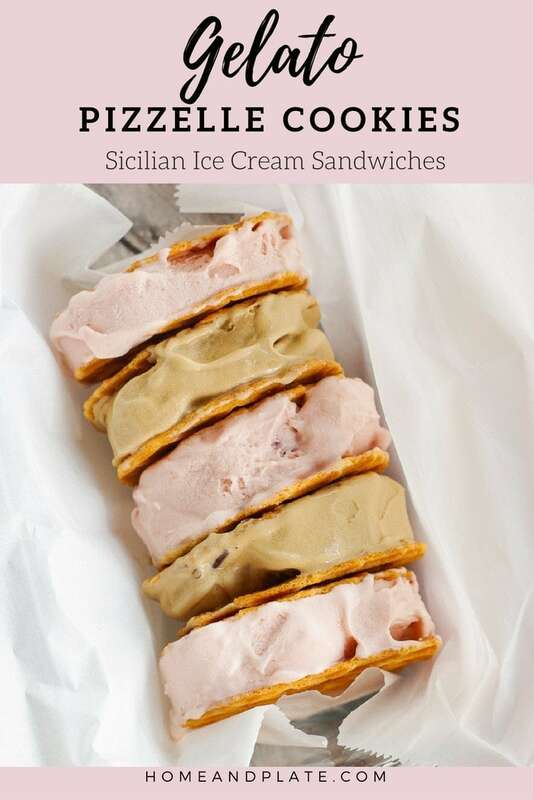 These Sicilian ice cream sandwiches are sure to bring a smile to anyone who eats them. They are a perfect treat for the dog days of summer as well as any time of the year. Have you ever had gelato? Gelato is Italian ice cream and I have found a new favorite brand. It comes in many flavors and features fresh fruits, nuts, chocolate and other yummy flavorings. Gelato contains more milk than cream, it’s slow churned and contains less air whipped into the mixture making it rich, creamy and more dense than ice cream. The journey continues! 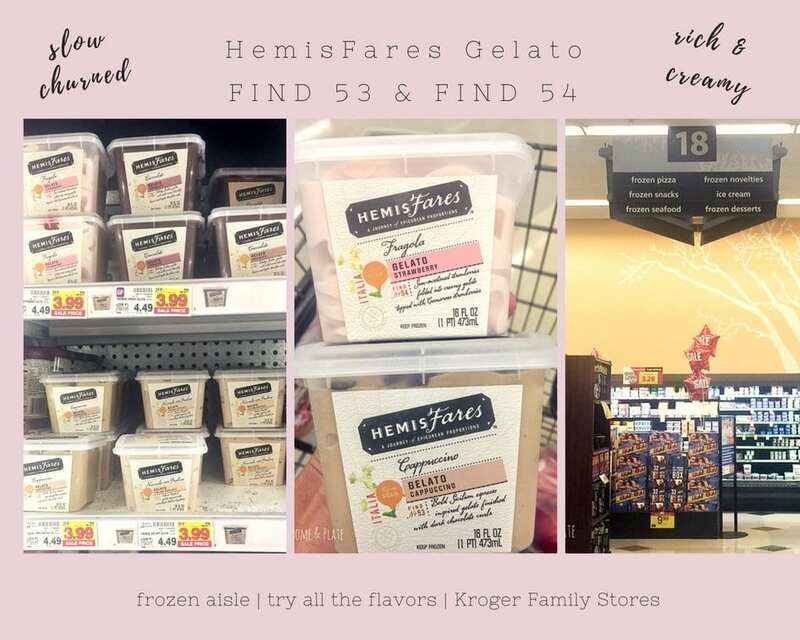 I’ve partnered with Kroger to explore their new HemisFares™ brand. They’ve traveled the world to bring back the best food finds. The HemisFares Gelato takes me back to Italy. It’s been years since I visited but I remember exploring the different regions of this beautiful country. The best part was the food! 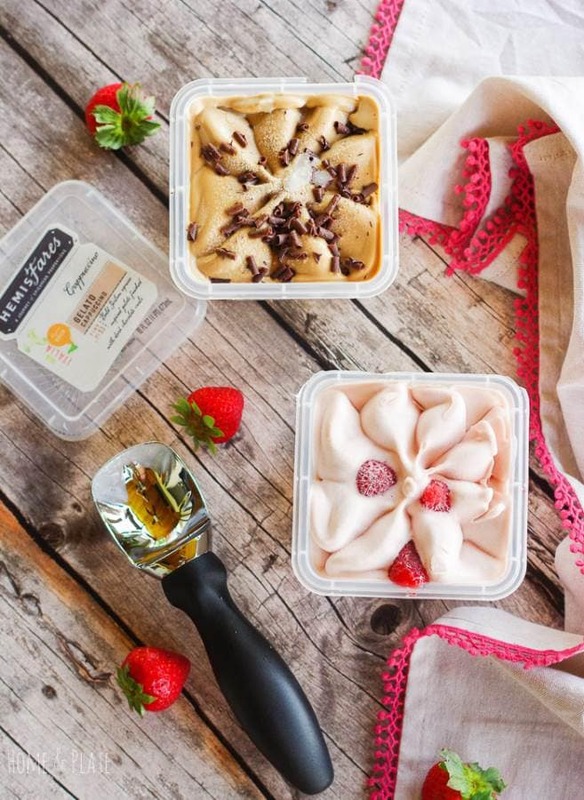 And I tried it all – the authentic taste of Italian olive oil, the rustic flavors of their tomato sauces and the creamy and delicious slow-churned gelato. Imagine my excitement to discover the authentic tastes of Italy in my own Kroger store. I can enjoy the true flavors this country has to offer without ever having to leave the comforts of home. Decisions, decisions! So many delicious flavors. I grabbed the strawberry and cappuccino gelato from the freezer at my local Kroger. 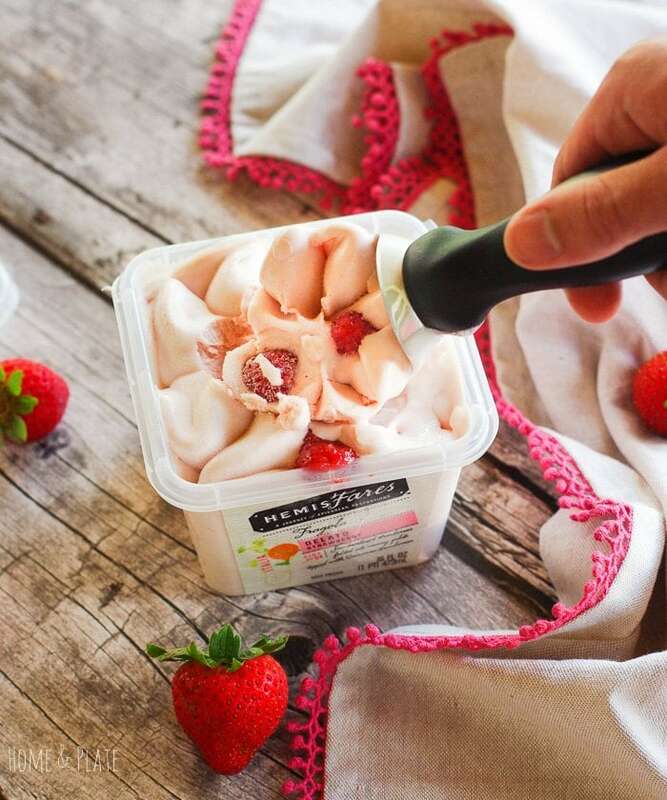 The strawberry gelato – Find No. 53 – is bursting with flavor. It tastes like the sweet fruit was picked right off the bush. My kids were in heaven. My husband and I enjoyed the cappuccino flavored gelato – Find No. 54- topped with dark chocolate curls that reminded me of the small cafés of Italy. I definitely prefer my cappuccino ice cold. To make the gelato sandwiches, look for pizzelle wafers in the cookie aisle. I grabbed a box of Kroger’s Private Selection Belgian Waffle Butter Crisps. Let the gelato sit at room temperature for a few minutes, then place a scoop of gelato onto one pizzelle and top with another. Delicious! 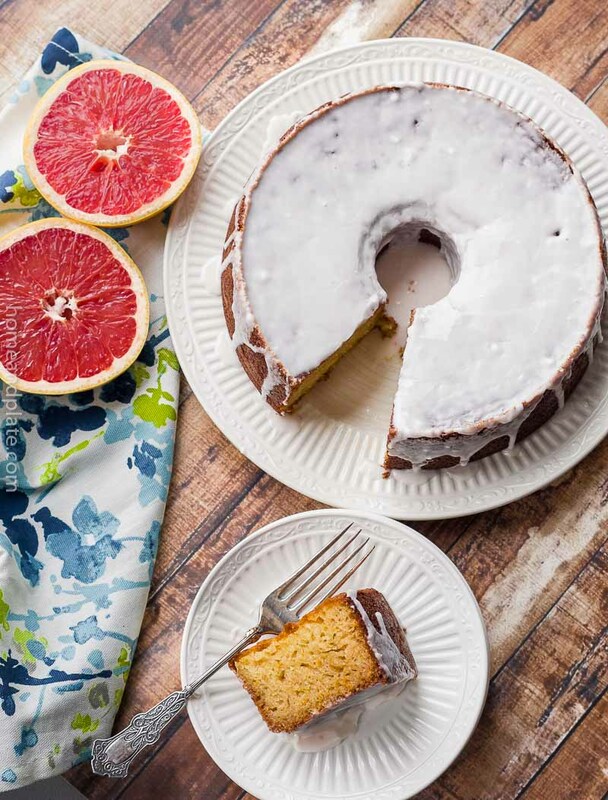 Be sure to make plenty because you won’t want to share. Want to experience Italy? For more information on HemisFares you can check out the website HemisFaresFinds.com or Facebook.com/Hemisfares. WANT TO TRY THESE GELATO PIZZELLE COOKIES? 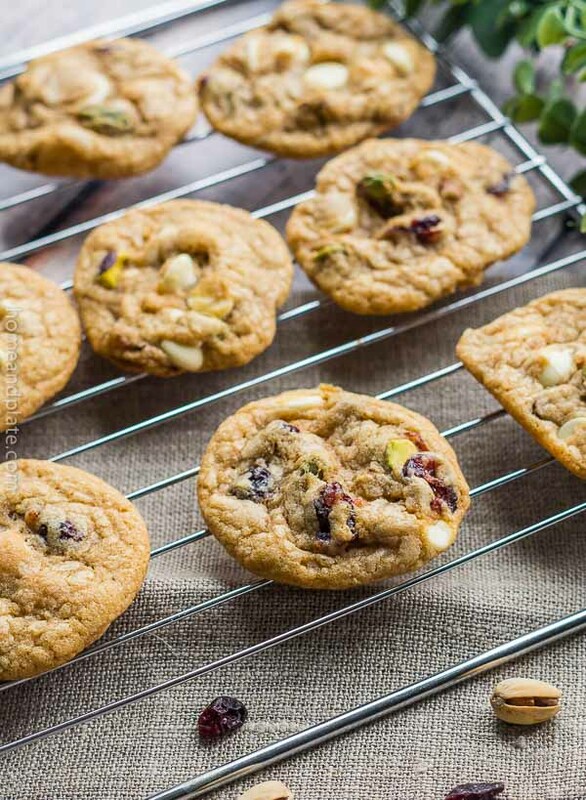 PIN THEM TO YOUR DESSERT OR ICE CREAM BOARD TO SAVE FOR LATER! 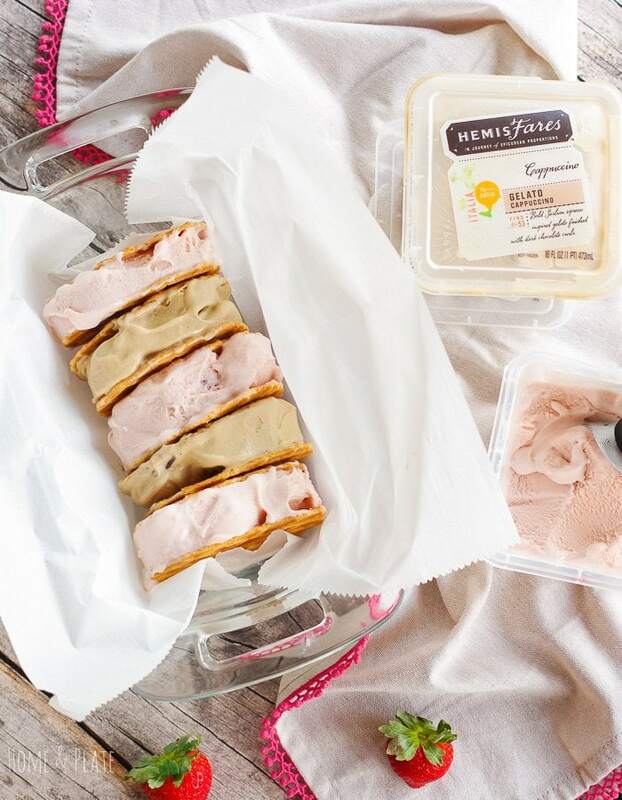 Gelato made with fresh strawberries, dark chocolate and espresso are paired with crisp pizzelle cookies in this Sicilian- inspired frozen dessert. You can’t get more elegant that that and the simplicity is wonderful! Thank you so much. It does make a simple dessert. 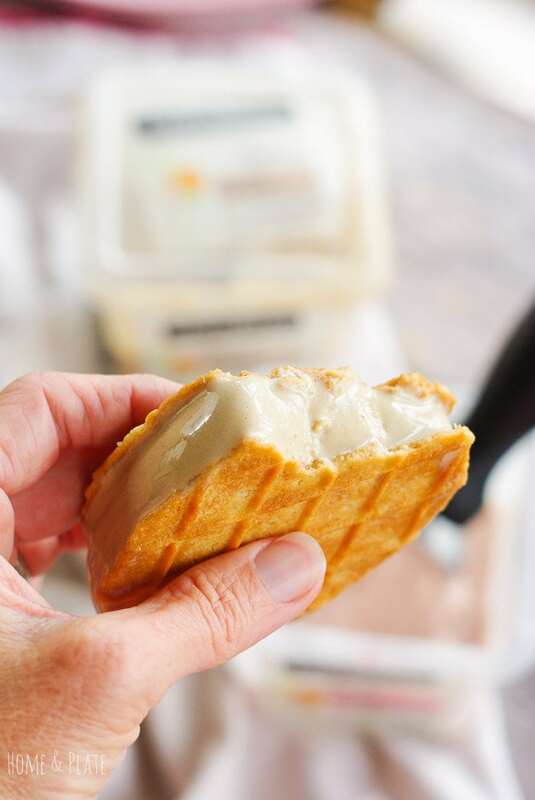 I love the creaminess of Gelato and how clever to make ice cream sandwiches out of pizzelle cookies! These sure won’t last long at my house. Gelato is better than ice cream in my opinion. Just grab me a spoon. wow, you found my weakness! Gelato is the best! I’m a nut for any kind of ice cream but who can refuse when it is sandwiched between pizzelle cookies! A weakness for me too. The flavors are so unique and so delicious. Hope you try soon. Wow – this gelato looks amazing! 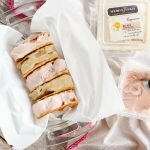 The flavors looks so creamy and I just love ice cream sandwiches. Delicious! Thanks Christine. The flavors of this gelato are just fantastic.